If companies knew how much money could be saved by going green it might be easier to design products that use less energy, water, and other resources. That’s the idea behind new software developed at Columbia University, and expanded upon by CoClear, a Harlem-based startup. The software lets companies compare the costs and benefits of making a product more sustainable so that investments that produce the highest return can be prioritized. The software will be on display at the Data Science Institute’s Demo Day on March 31. In a move that some might find surprising, Green Mountain Coffee Roasters (GMCR) and The Coca-Cola Co. announced a major strategic partnership last week. According to the announcement, the “companies have signed a 10-year agreement to collaborate on the development and introduction of The Coca-Cola Co.’s global brand portfolio for use in GMCR’s forthcoming Keurig Cold at-home beverage system. Under the global strategic agreement, GMCR and The Coca-Cola Co. will cooperate to bring the Keurig Cold beverage system to consumers around the world.” The two companies certainly come from opposite ends of the business spectrum: GMCR, with its humble Vermont origins and Ben & Jerry’s-like commitment to sustainable practices and Coke, being the oft-criticized old school corporate behemoth. 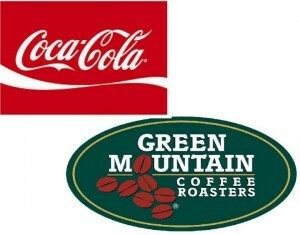 Read More about Coca Cola and Green Mountain Roasters Partnership. From Bruno Pieters's Honest By to Nudie Jeans to sportswear giant Nike, certain fashion and apparel brands are going against the grain and starting to embrace greater transparency and traceability across the supply chain. Read full article BoF reports. More than half of companies say sustainability reporting leads to higher cash flows and helps improve firm reputation, according to a report from the Boston College Center for Corporate Citizenship and Ernst & Young. Read "Sustainability Reporting "Leads to Higher Cash Flows""